The 19th century had its own heroes of baccarat in France where this game developed and was very popular then. Baccarat players of that time were preferably rich people and aristocrats because only they had a right to play it (that is why baccarat game still has a reputation of a noble and luxurious game for gentlemen). Thanks to this fact, the history of baccarat can tell us only about the members of royal families who were great admirers of this card game of luck. Middle class people played baccarat illegally, so, there was no information found about good baccarat players of that time among them. He was the last King of France, loved and respected by French people at first years of his reign because of his unpretentiousness and simplicity (everyone called him "Citizen King"); but soon he showed his real monarchical government which could not save the working class from deterioration and economic crisis of 1847. This crisis caused the revolution of 1848 and abdication of Louis-Philippe. 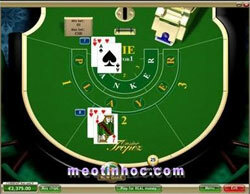 The King was well-known admirer of baccarat card game and preferred playing it rather often. The theory is that this game appeared exactly in France and during Louis-Philippe's reign, but it can not be true because the proved facts showed the earlier existence of the game. But, anyway, two well-known baccarat variations received their modern look and characteristics during that time. Louis-Philippe I was also called King of the French. 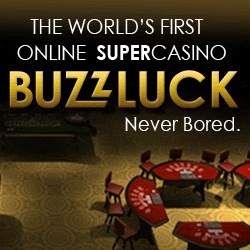 During that time baccarat card game was preferably played in private casinos and royal courts; middle class did not have the access to the game and had to play it illegally: this period is known as the illegal gambling clubs' growth. Well, Napoleon was lucky to be a royal person because he admired baccarat a lot and did not have to hide in order to play it. Napoleon I (Napoleone Bonaparte) is known as Emperor of the French, a political leader of the country who is also famous for his military career and campaigns. He has made the basis for the modern politics of France and leaded many wars with a goal to make France being the only one strong country in Europe. Napoleon I was also the King of Italy (1805 - 1814 years).